Taking your pet to the vet can be rather stressful for any parent of a fur baby. Knowing there is an exceptional nursing staff on hand makes this stressful event, easier to deal with. 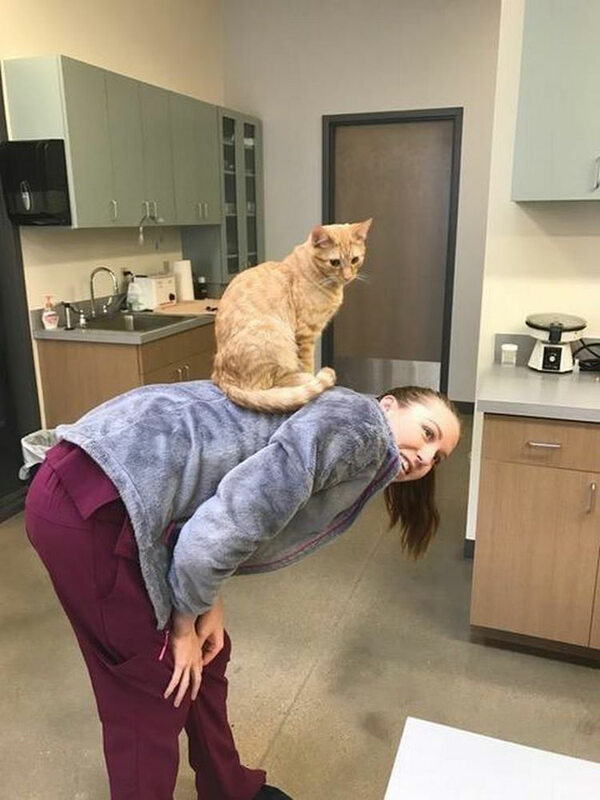 Northfield Veterinary Hospital in Colorado found an unlikely applicant for their nursing staff in a stray cat named Ron. 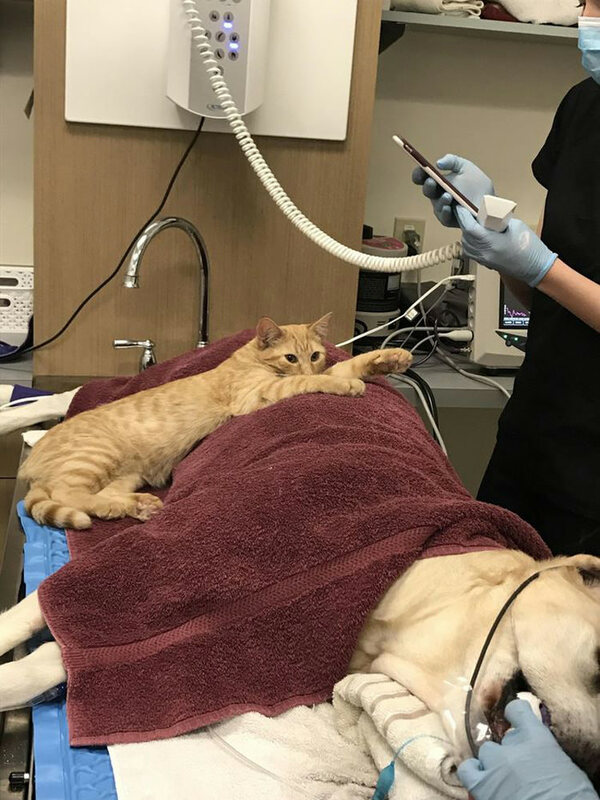 The stray cat became a nurse but was rescued from the streets in Colorado timid and afraid. Something miraculous happened shortly after his arrival. 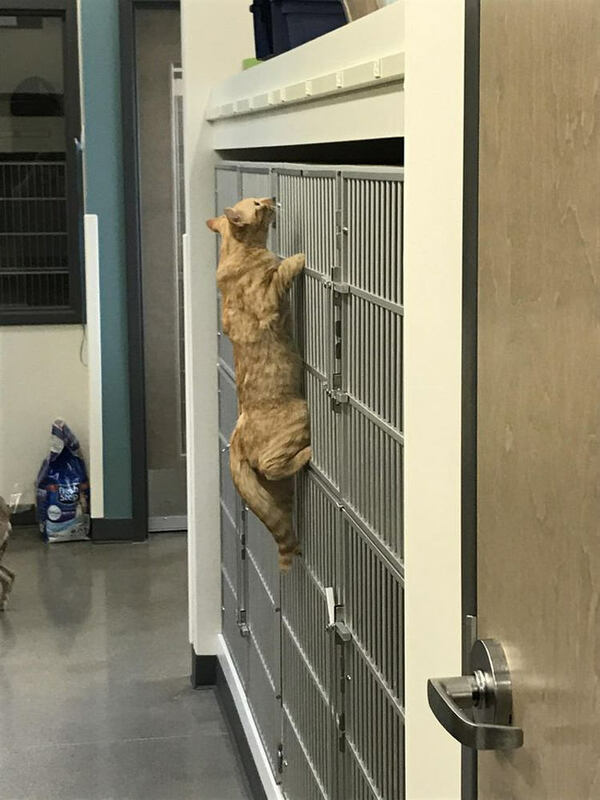 This feline started making rounds to other animals that were in the clinic. Soon he showed his true superpower CRITTER COMPASSION! 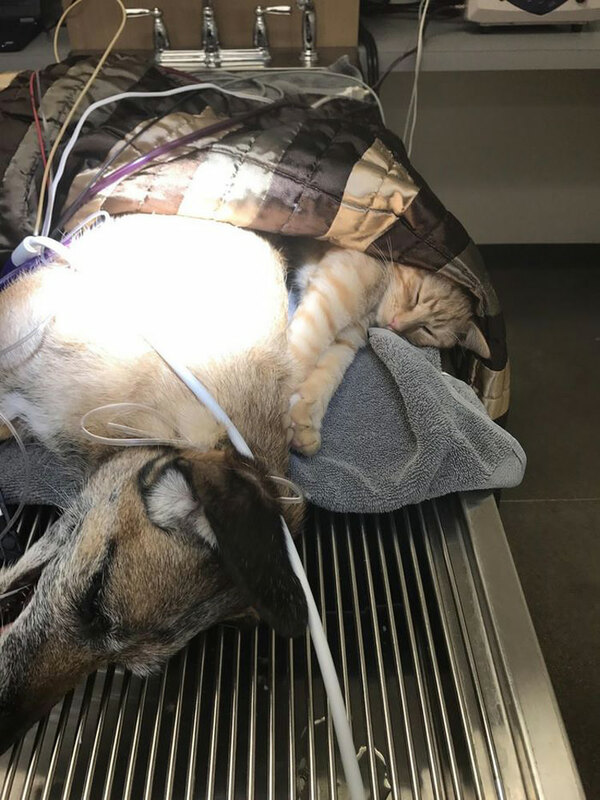 “Ron started to cuddle up to any pet who was under anesthesia for dental work and provided them with body heat,” said Shelly Sandel, Vet, and Co-owner of Northfield Veterinary Hospital. 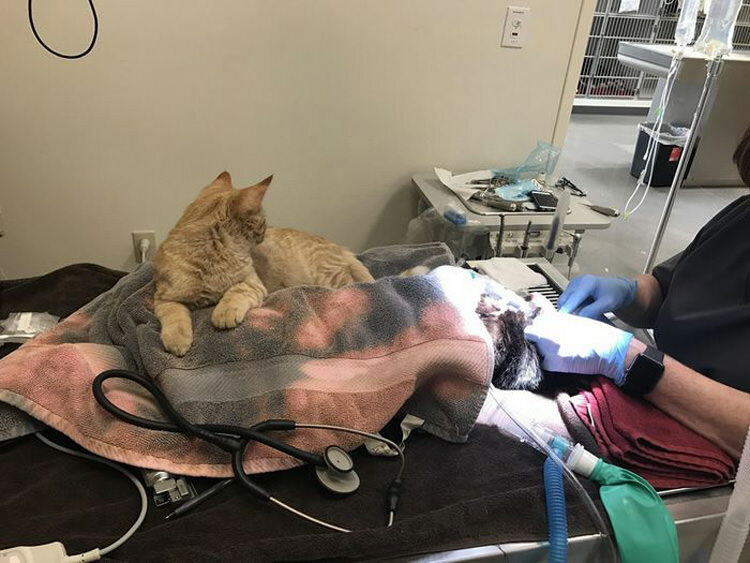 It seemed that this once nervous cat was providing patients with comfort due to his compassionate visits. 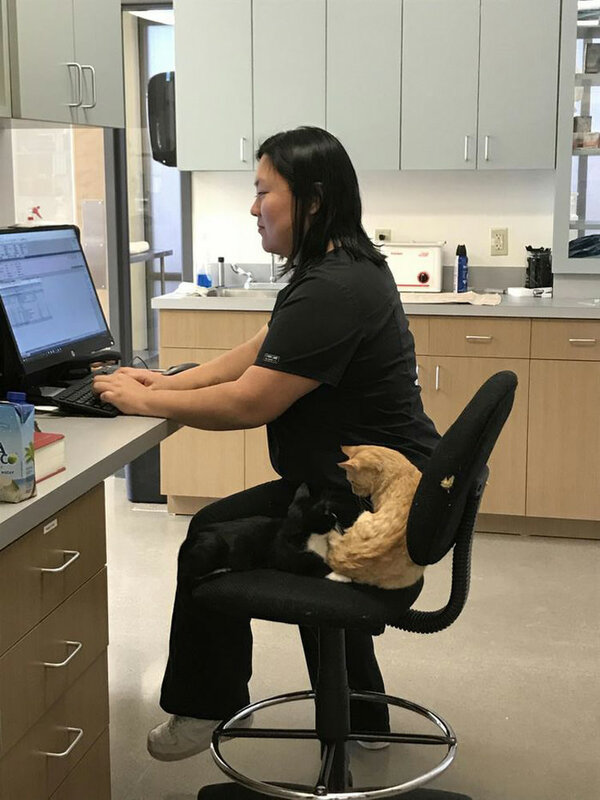 Jen Weston – co owner of Northfield Veterinary Hospital started posting Ron’s nursing escapades on Facebook. 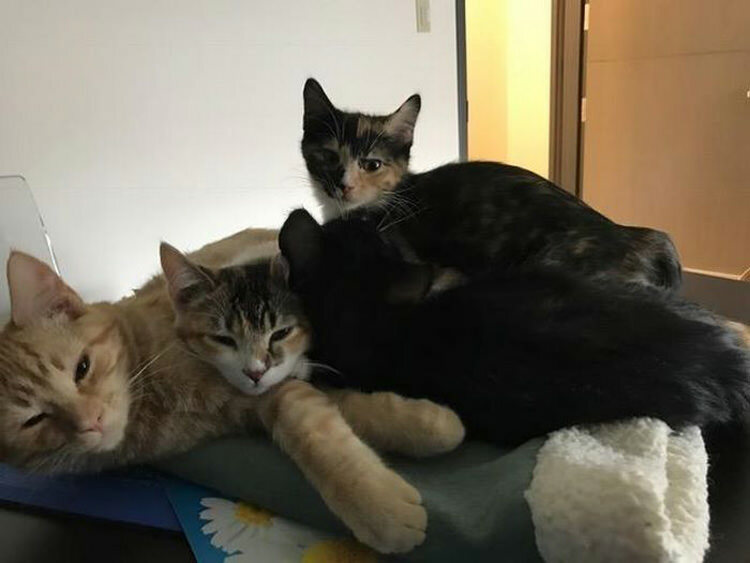 Soon clients were asking for Ron’s guidance and assistance with their fur babies. It seemed to be a new service that the clinic was providing. Ron’s interaction with patients appeared to be calming the patients. Nurse Ron would try to climb into cages and let other patients know that this was a safe place and they would be well taken care of. Finally Ron retired from the Northfield Veterinary Hospital after 3 months. He has since found a loving new home. Due to his service at the clinic, he will be remembered by staff and patients for years to come!